and move in upon completion. The Royal Suites has been designed for those with an active lifestyle. 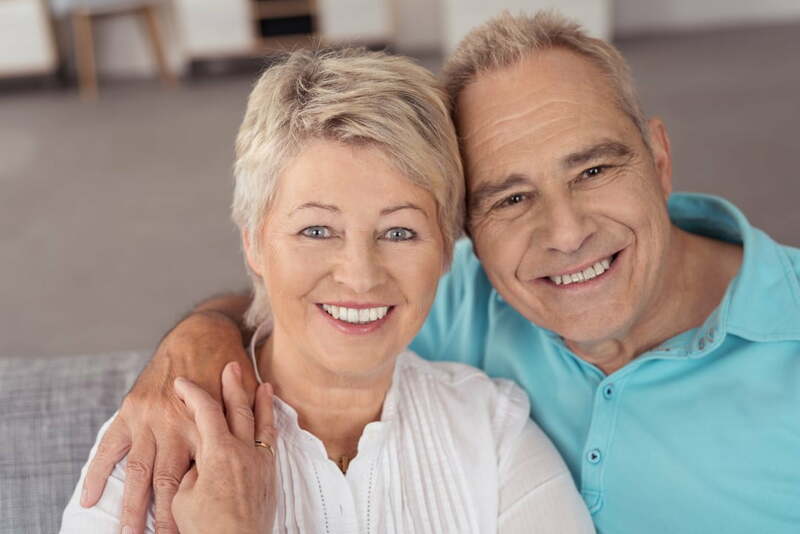 As a 55+ apartment building, you can look forward to peace of mind and security, all without giving up those activities you love. Services include maintenance, a full kitchen and laundry facilities in each unit, and use of amenity spaces in both The Royal Suites and The Royal Brock. Also available is your own customized meal plans for the days you don't feel like cooking. Whether you like to play pool, watch movies, garden, bike or walk, everything you need is here. We even have a full exercise room and therapy pool. Elegantly designed and beautifully appointed one and two-bedroom units are now ready for reservations on a first come/first served basis. 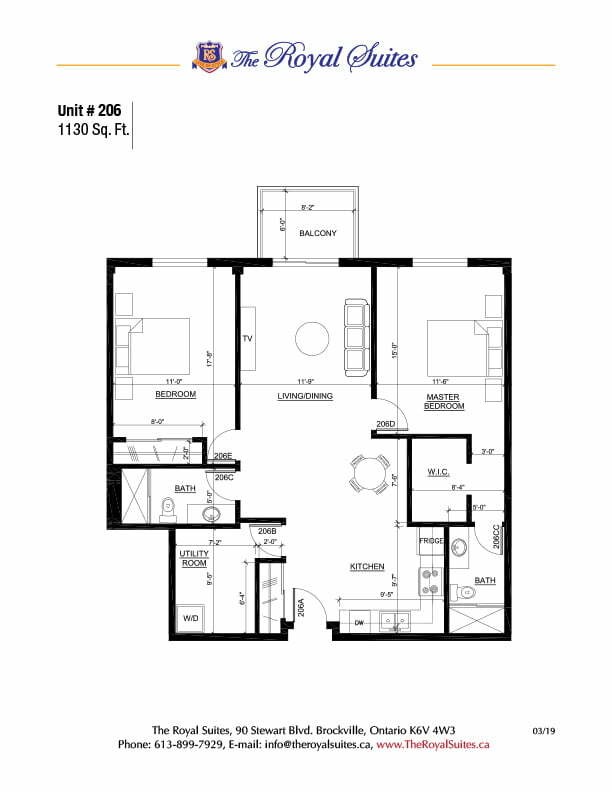 See our Suite Finder to see the floor plans and to pick your unit. If you are tired of maintaining the family home and want more time to visit with family and friends but don't want to give up your lifestyle, The Royal Suites is the place for you. The Royal Suites is a new senior living apartment building constructed by Gallivan Developments. Connected to Royal Brock Retirement Living (formally known as the Royal Brock Hotel, which was totally renovated in 2017). Located in historic downtown Brockville, we are centrally located, with public transit to our door step and walking distance to shopping, banking, dining and theatre. Everything you need is here. from co-owner and developer Tom Gallivan of Gallivan Developments. 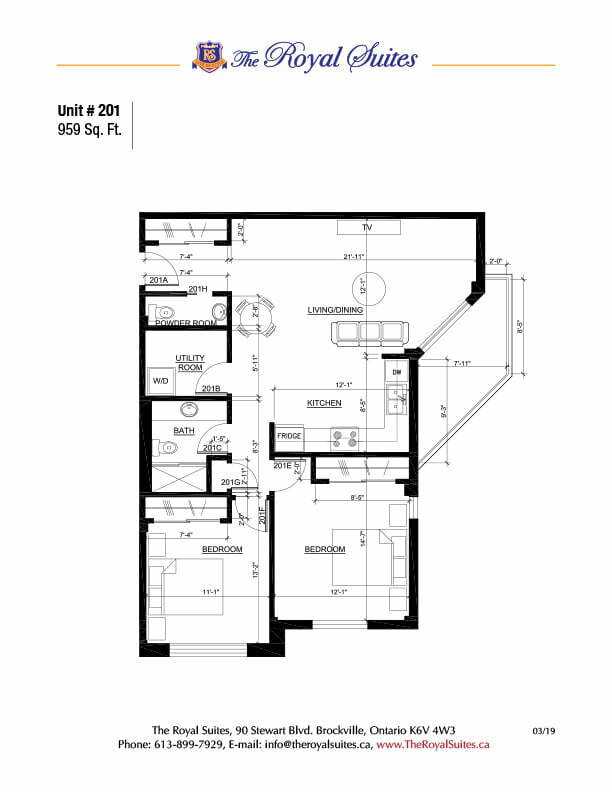 Check out the unit plans with our Suite Finder. Our units range from 748 to over 1156 square feet in size. 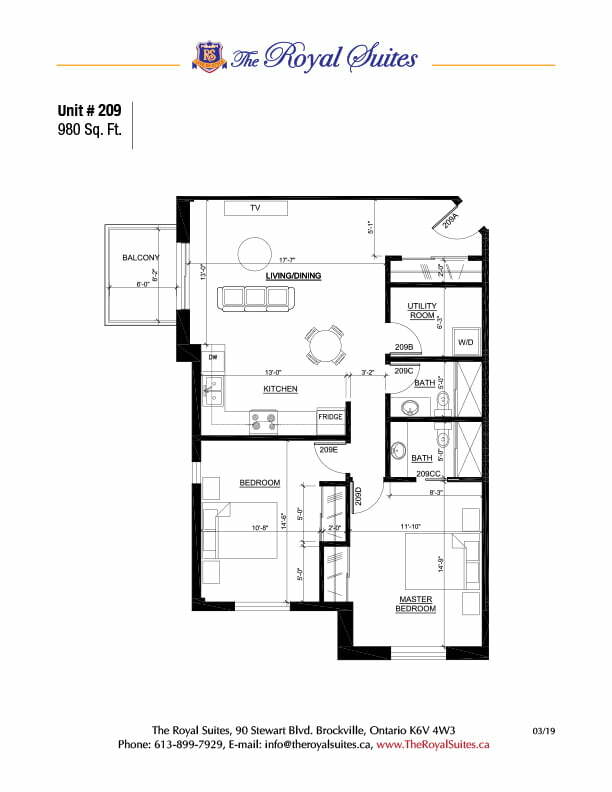 Preregister now and we will contact you to set up an appointment when the model suite is open for viewing and all of the build options are available.